Search Results for R | Spices Etc. Your search returned too many results. Please refine your search and try again. Salish Smoked Salt. 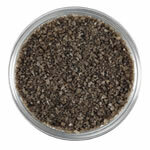 This Pacific Sea Salt is slow smoked over real alderwood, giving it it's authentic, clean smoke flavor. 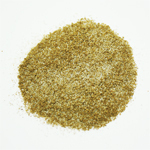 Salish Smoked Salt is perfect to use on Salmon or on meats on or off the barbecue. NEW! 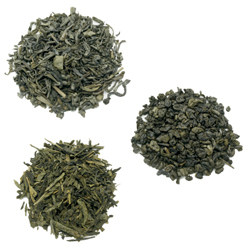 Now, for one special price, you can experience the full flavor and benefits of Spices, Etc's Green Teas. From the exqusite taste of Young Hyson to the lovely aroma of the Panfried Green, you will love them all! Spice Jars of Green Tea flavor including Young Hyson, Panfried and Pinhead Gunpowder.....enjoy! Allspice the dried berry of an evergreen tree native to Central and South America has a flavor and aroma reminiscent of cinnamon cloves and nutmeg. Allspice is sometimes called Pimento berries. 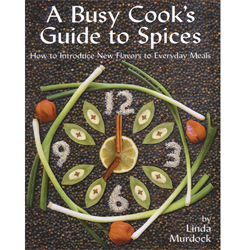 Allspice has a variety of uses including pickling cakes and other sweet goods chutneys and rice dishes. 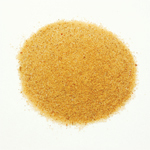 It is one of the flavoring ingredients in "Jerk" spice blends and marinades. As one of the flavoring ingredients in "Jerk" spice blends and marinades, allspice is the dried berry of an evergreen tree native to Central and South America has a flavor and aroma reminiscent of cinnamon cloves and nutmeg. 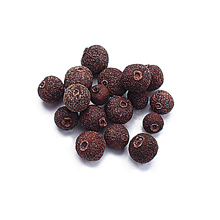 Allspice is sometimes called Pimento berries. 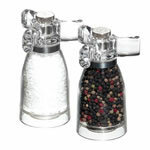 It has a variety of uses including pickling cakes and other sweet goods chutneys and rice dishes. Almond Flavoring is similar to the supermarket variety but about twice as strong and is a must to have in every baker's kitchen. 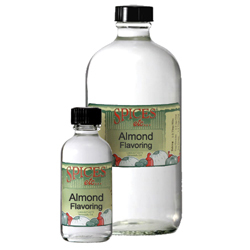 The Almond Natural Flavoring is perfect for adding flavor to fruits, muffins, pies and cakes. Use in baking, for frostings or in other desserts and because the flavoring is clear, it will not add color to your cakes, etc. Made with natural ingredients. Non-flavor ingredients: propylene glycol, water. America's Best BBQ Joints can be found in one basket. 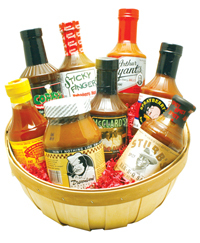 With an assortment of all America's best BBQ sauces, this basket is great for Barbeque lover's everywhere! This assortment is a great gift idea for that special someone who loves to grill! Get your grills heating up and ready! 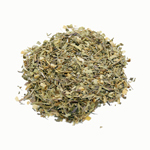 Anise seed has been used for centuries for both seasoning and medicinal purposes. 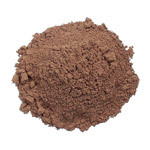 It is also used in making liqueurs. 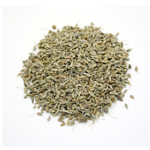 Anise seed is used in baking to flavor breads cakes and candies. The mild licorice flavor of anise seed also goes well with fish. 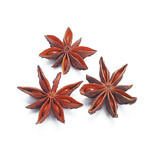 Star Anise is the dried star shaped fruit of an evergreen tree native to China. It has a strong licorice flavor and aroma. Star anise is used whole to flavor soups and some Chinese pork recipes and used ground in some poultry dishes. It is an ingredient in Chinese 5-spice. Try a whole star in a pot of beef stew! For Crafters, we now offer a new "select" grade of star anise, consisting of mostly whole stars. 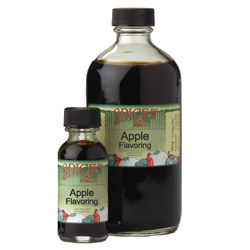 Apple Natural Flavoring is perfect to add more Apple flavor or to restore fresh apple flavor when making cobbler, pies, or for flavoring jelly or apple butter. Apple Flavoring is a nice addition to mint sauces and it is very concentrated, so use sparingly when baking or cooking with this flavoring. Natural apple flavor. Non-flavor ingredients: alcohol, malic acid, water. 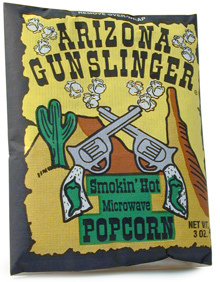 Here is a hot popcorn which takes just a few minutes to prepare. It even comes with a whole de Arbol chile pepper inside. 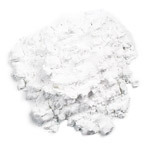 Arrowroot is the powdered root of a long-leafed perennial grown in Central and South America. It is used to thicken sauces and gravies.It is similar in use to cornstarch but it works better at cooler temperatures and is clearer and less gritty than cornstarch.Use 2-3 tsp.per cup liquid.